I just wanted you to know that I am beyond impressed!!!! 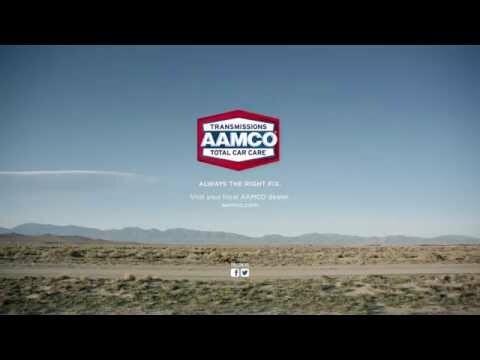 I am taking the time to tell you of the absolutely WONDERFUL service I received from AAMCO Transmissions at 4205 Oleander Dr. Wilmington NC. I went to Pep Boys last week in my hometown of Smithfield for an oil change and plugs. They inspected my car and came out with a list of things they said needed to be done ASAP! I had them do a few things that were “urgent”. They printed me a list & even prioritized the things that needed to be done and gave estimates. I was so thankful that I was told I had some wiggle room on the repairs but one of them, the transmission flush, was needed within a week’s time or I would have huge issues, since I make two hour trips twice a week. I was so concerned with my car that my best friend, and also loyal customer, referred me to The AAMCO Transmission Specialist on Oleander Dr in Wilmington where I met Robert “BOBBY” Taylor. HE WAS THE BEST! I am a single mother of a special needs child and I explained the problem and was told of the 3 levels of treatment they do for my issue. I also showed him the list that Pep Boys had given me that was “oh so urgent”. Bobby had his mechanic look at each item listed. I was told when my car was done that I need not worry about my front bearings. They did need to be looked at but it was nowhere near severe. Bobby assured me that I was OK and understood my situation. As a woman walking into a garage, it’s almost like you can see them thinking “Come in my little pretty”! LOL! He had my car fixed in a VERY timely manner and treated me with the utmost respect. I have never in my lifetime had such a good experience at a shop!!!! I will from now on be a loyal customer and will refer whenever given the chance! I told him if my car messes up at home over 2 hours away I would drag it if needed to be worked on by that garage only!!!! I WILL go nowhere else for anything regarding my car!!!! I just wanted you to know that I am beyond impressed!!!! Thank you, for running an honest shop where women are not victims. We are customers to be handled with kid’s gloves, which is the treatment I got. Everything was done RIGHT and explained to me. He took the time to listen and address each concern! This man deserves an award for best garage worldwide!! Thank you again!!! Charlotte O., CUSTOMER FOR LIFE!